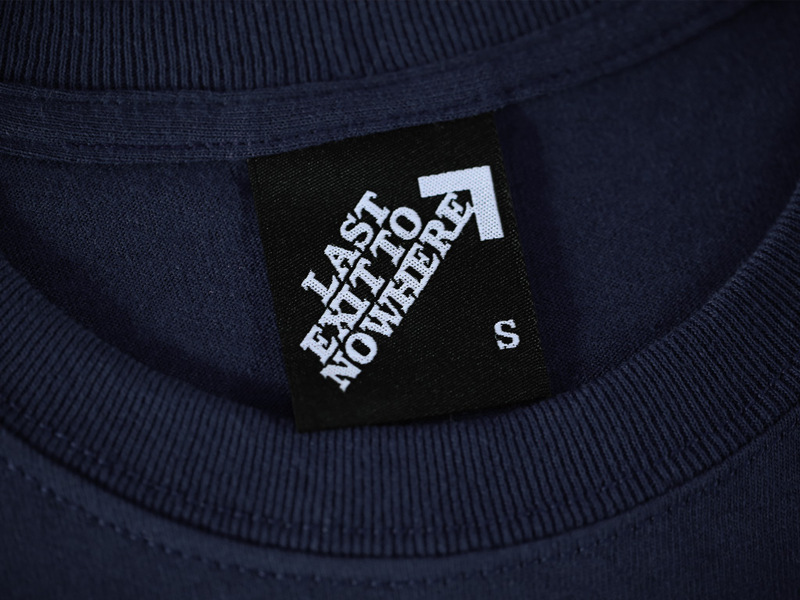 A three colour design, hand screen printed on a regular fit, 100% cotton navy T-shirt. 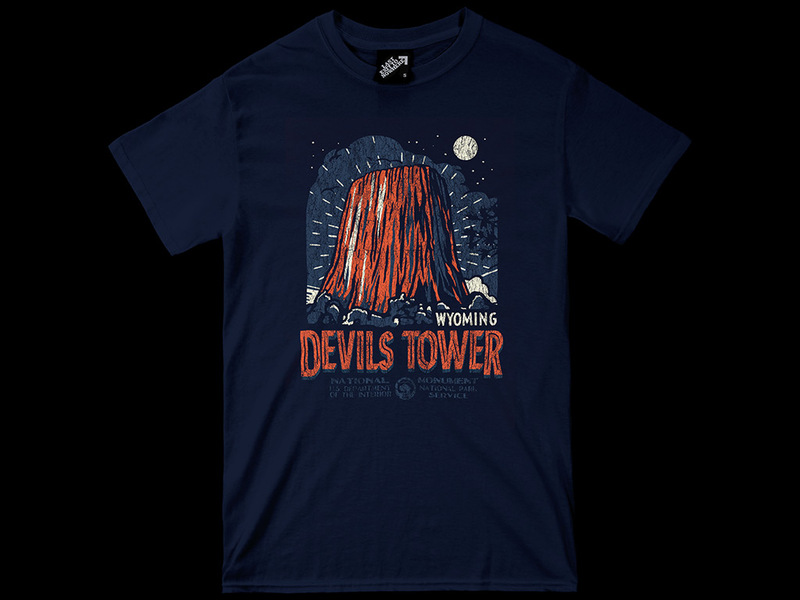 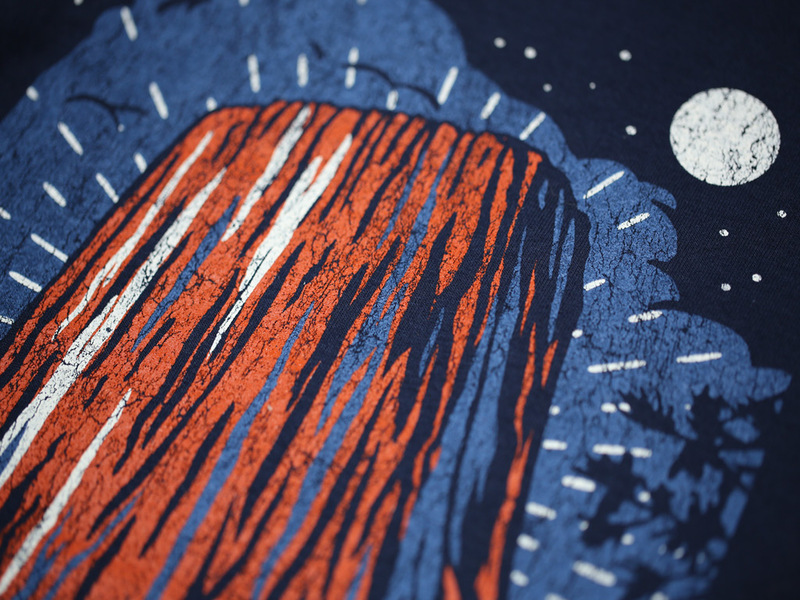 Inspired by the location featured in the 1977 film, Close Encounters of the Third Kind. 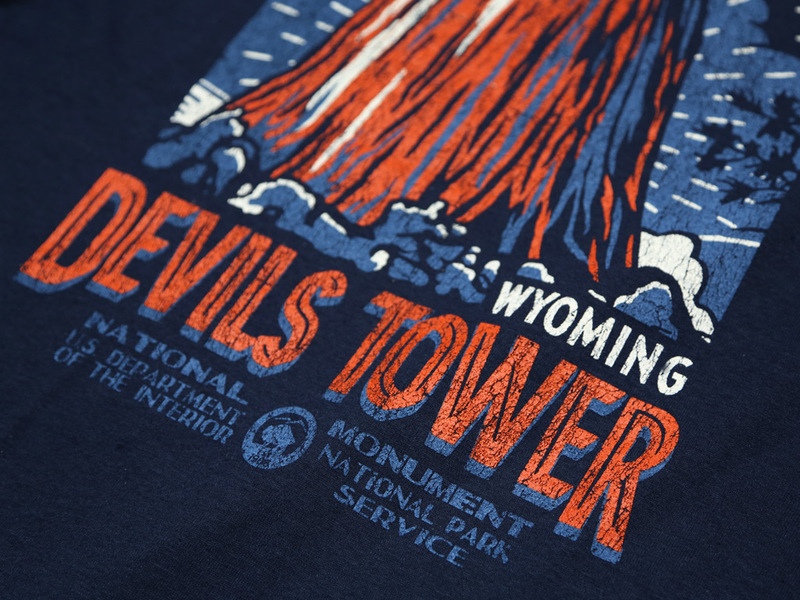 This American science fiction classic was written and directed by Steven Spielberg, and stars Richard Dreyfuss, Melinda Dillon, Teri Garr and Bob Balaban.